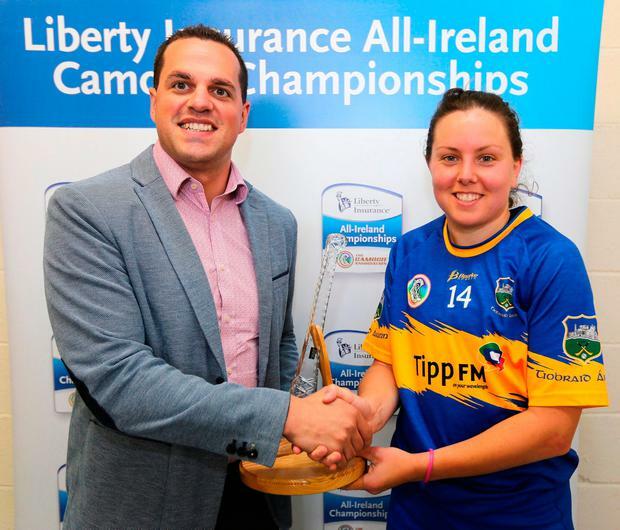 A goal right on the hour by Mairéad Campion snatched a 1-14 to 2-8 win for Tipperary over Wexford at Innovate Wexford Park to make it two wins from two for the Premiers, who move to the top of Group 2 of the Liberty Insurance All-Ireland Senior Camogie Championship. Tipp were outstanding in the opening quarter, propelled by magnificent midfield duo Karen Kennedy and Laura Loughnane. Cáit Devane went into the weekend topping the scoring charts and was fantastic from play and placed balls once more as the visitors moved 0-9 to 0-0 clear of their shell-shocked hosts. The gifted attacker had seven points alone in the opening period, while dual star Orla O'Dwyer struck a brace but credit to Wexford, they roared back into the game once Linda Bolger got them off the mark. Joanne Dillon followed up with a 25th-minute goal and it was 0-10 to 1-3 at half-time. Martin Carey's team continued to chip away at the deficit as Bolger maintained her accurate shooting, and they moved ahead with six minutes of normal time remaining. Tipperary are intent on building on last year's championship, however, and Bill Mullaney's crew displayed their character to move ahead once more, Campion's goal grabbing a dramatic win. Offaly claimed their first triumph of the campaign by 3-11 to 0-9 over Meath at St Brendan's Park, Birr. The home team beat last year's intermediate champions to maintain their Division 1 status but John Davis's charges were much more competitive on this occasion. They were unable to deal with Offaly's goal threat, however. The home team led by 1-7 to 0-4 at the break before finding the net twice more to bag the points. Daragh O Conchúir The celebrations were measured, but this was an important day for Galway.